Nate Maingard, born at the tip of Africa and now a modern troubadour 100% supported by a global community of 139 patrons, is returning to his home city Cape Town for his first show in nearly three years. Having carved out an international niche for himself through his innovative use of modern tools combined with timeless songwriting and a deep sensitivity for the Human Story, Nate is a breathe of fresh air and an exciting man to experience. Join us in welcoming Nate back for a unique show in the city which cradled his heart as he learned to fly. “Maingard writes protest songs for lovers and love songs for rebels.” -LMG Magazine. Modern Troubadour and indie-folk singer-songwriter Nate Maingard was born in a cottage on the outskirts of Cape Town, South Africa, surrounded by wild ocean and rugged mountains. He grew up his father’s guitar-making workshop and, since those early days of sawdust and wood-smells, Nate has made his own instrument and sound to go with it. His acoustic guitar Melody accompanies him in songs of love, life and lessons learned, gently dissecting and fiercely celebrating the archetypal journeys we all share as humans. 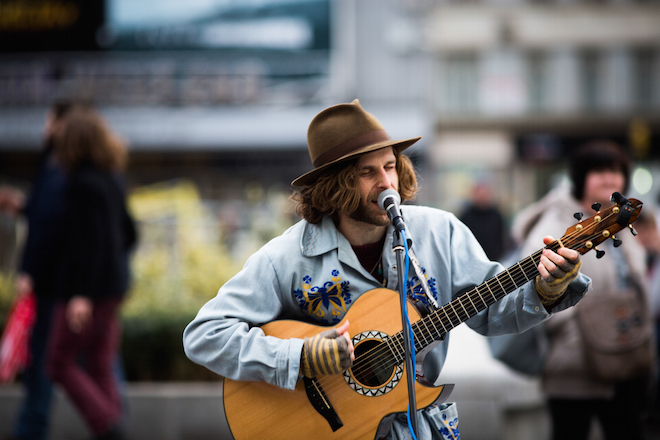 Supported by a global community of patrons on Patreon (http://patreon.com/natemaingard), Nate shares his songs and stories with the communities he passes through on his nomadic adventures and, in turn, they value and support his art. Nate draws his inspiration from the indie-folk movement currently finding voice in the likes of Bon Iver, Death Cab For Cutie and Tallest Man On Earth while remaining true to his first loves of the lyrical singer-songwriters of the 60’s, such as John Lennon, Nick Drake and Leonard Cohen. Venue will be open for dinner before performance starts. Kindly call 021 788 5849 to make a reservation.